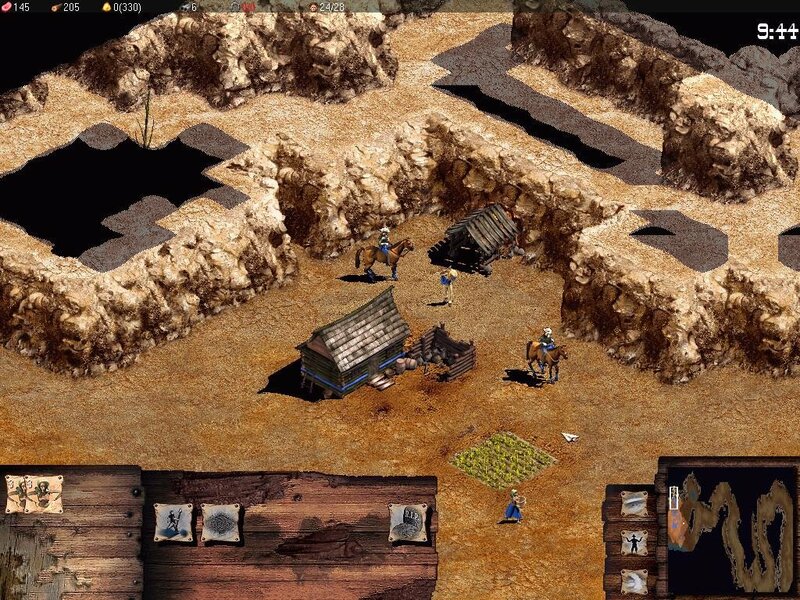 A visually striking if flawed Age of Empires II clone. 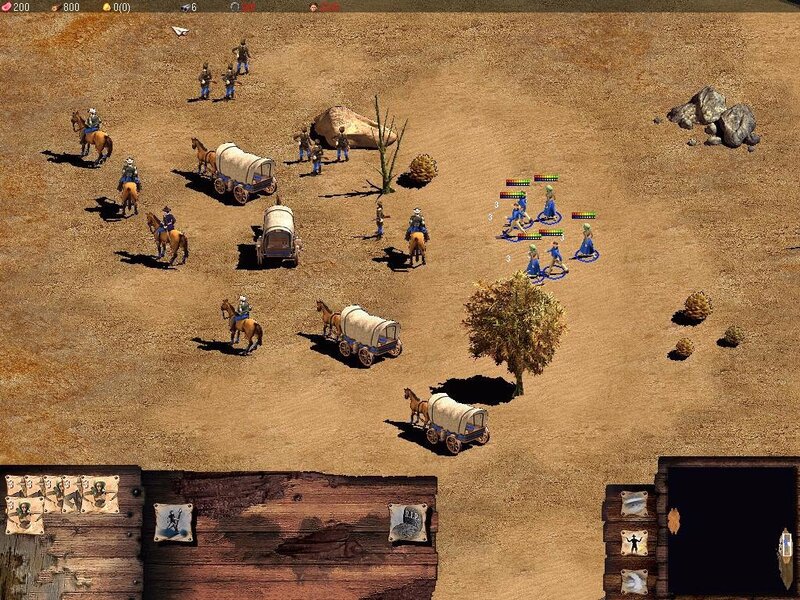 Forget about your Orcs, Zerg, and ancient Carthaginian tribes — this particular RTS pitches full bore into the Wild West with the opportunity to experience frontier life from multiple perspectives. It’s a fine idea, but it’s not so finely executed. 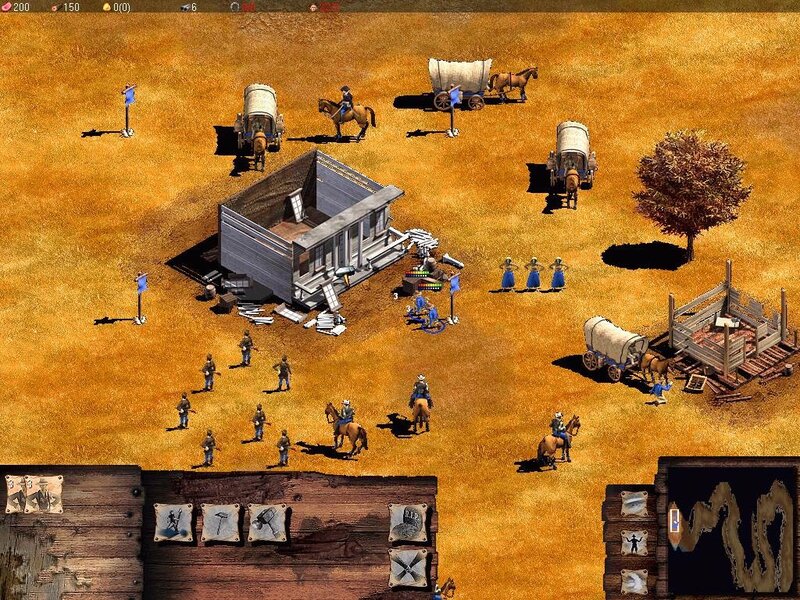 While America surpasses Age of Empires II in pure visual mastery, it falls behind on just about every other front. 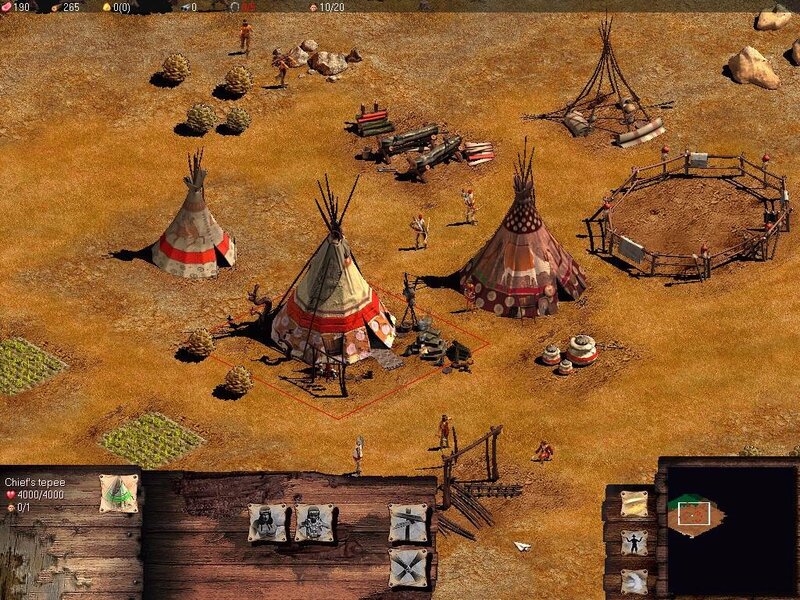 You start by choosing one of four sides – Native Americans, Outlaws, Mexicans, and the U.S. Settlers, each coming equipped with its own campaigns, units, buildings, and abilities. 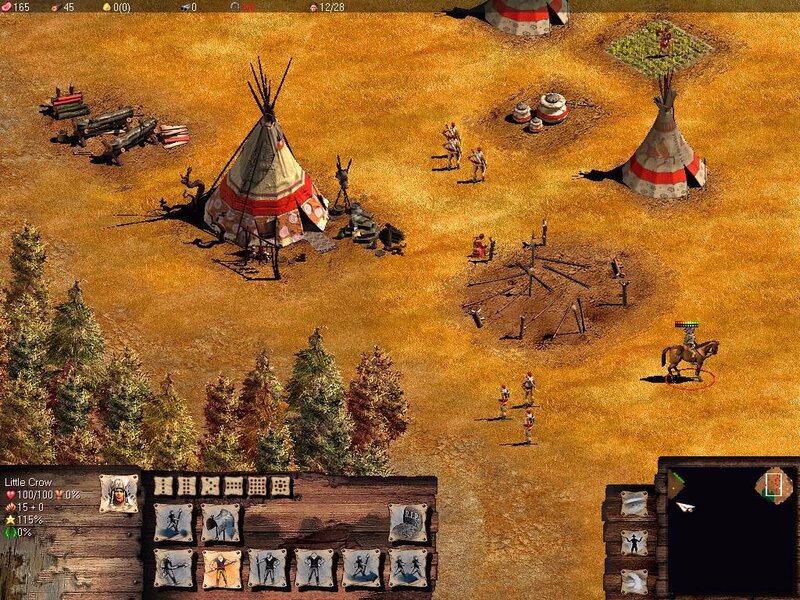 For example, the Native Americans are not capable of developing advanced weapons like the Settlers, but can use nature to help overcome their enemies with such tricks as camouflaging themselves in shrubbery, or even stealing guns from the colonists. Similarly, the Outlaws are the best gunslingers and agile robbers, but they can’t produce cannons or guns in factories because of their nomadic nature. 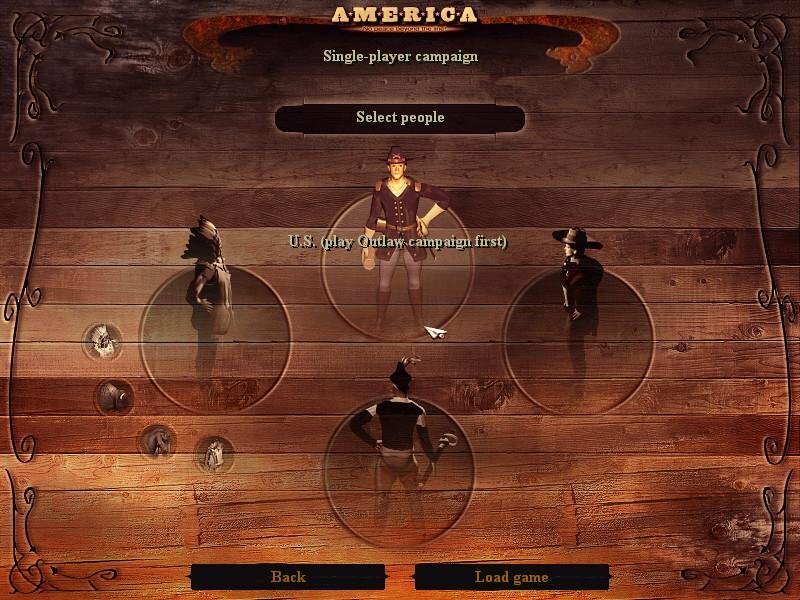 All of this looks great on paper, but these four nations are not balanced very well, with an unfair advantage given to the Settlers (which may or may not be justified as historically accurate, but it’s kind of a drag for gameplay). 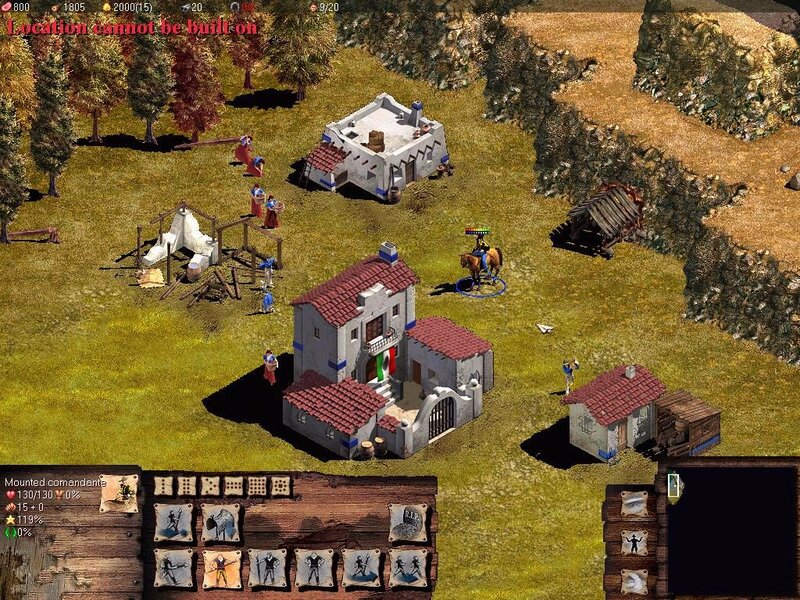 Gameplay is also just way too tough, even on its easiest setting, and will undoubtedly scare off newbie PC gamers looking to sink their spurs into an RTS loosely based on their nation’s history. Admittedly, some of the scenarios are fun to run through — the bank hold-up is a blast, as is the scenario centered around the Californian gold rush. 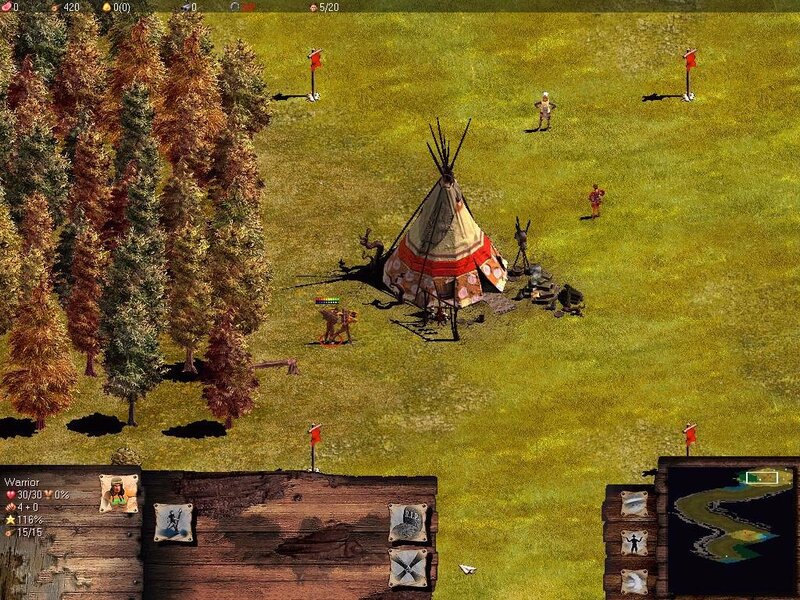 At its best, America could almost be considered a decent AOE add-on. 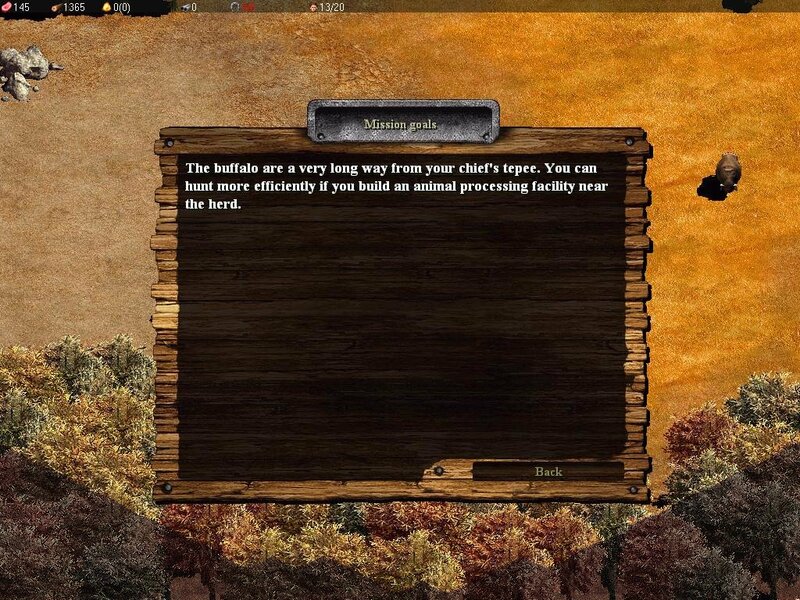 Along with traditional resources like food, wood and gold you have horses – which you can steal from killed enemies and lead them to your ranch to deploy as your own cavalry. 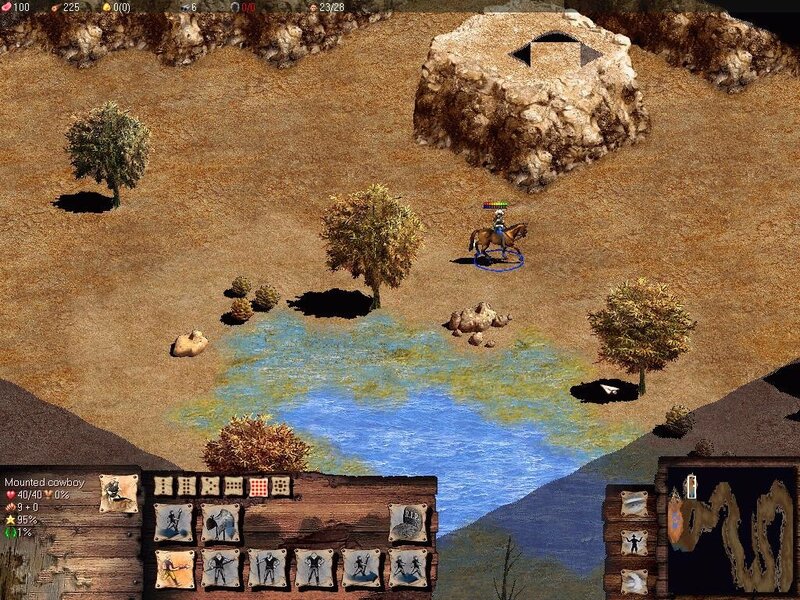 There’s also a broad selection of buildings and decisions in how you construct settlements, even if the process isn’t much different from AOE II. There are some serious AI issues to drag gameplay down, however. 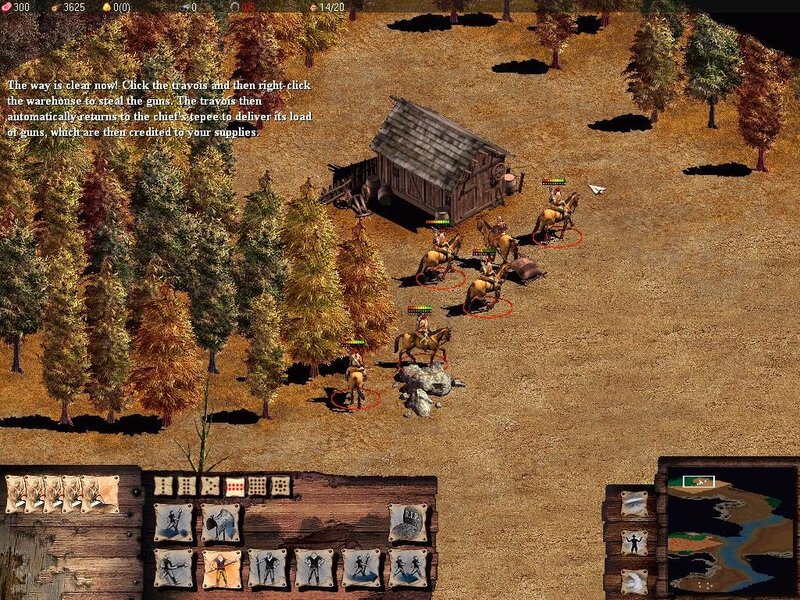 Troops will get stuck in trees or take the most illogical route from point A to B, and are generally terrible in keeping formation (even on straight paths) When your settlement is attacked, many fighters will just stand there like idiots unless told what to do. 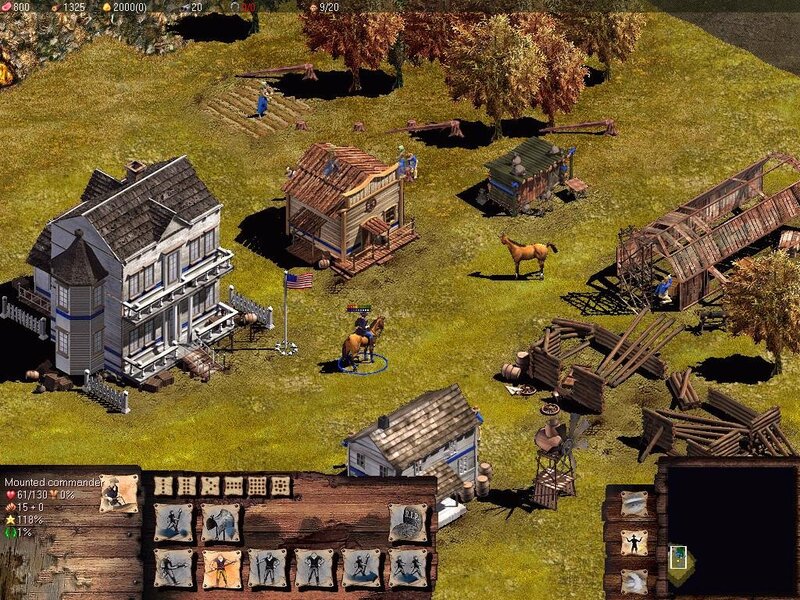 Alongside these glaring issues we have a horse cart’s worth of bugs, random crashes and loading problems. 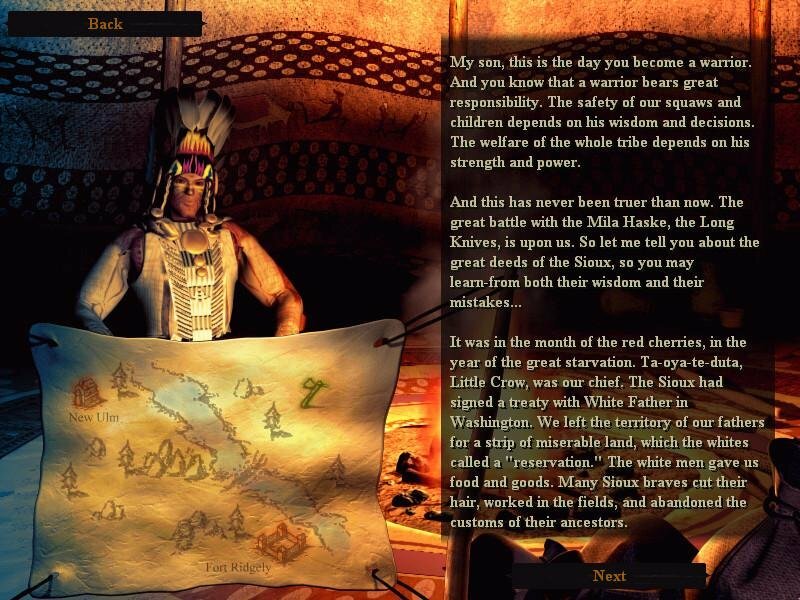 What could have been a very fun, unique real-time strategy game ends up being a me-too clone with some serious AI glitches and other assembled shortcomings. Totally agreed with your review. This game is not easy. Gameplay is weird. Units can be stuck in trees. Pathfinding is a mess. Hotkeys management is a disaster. 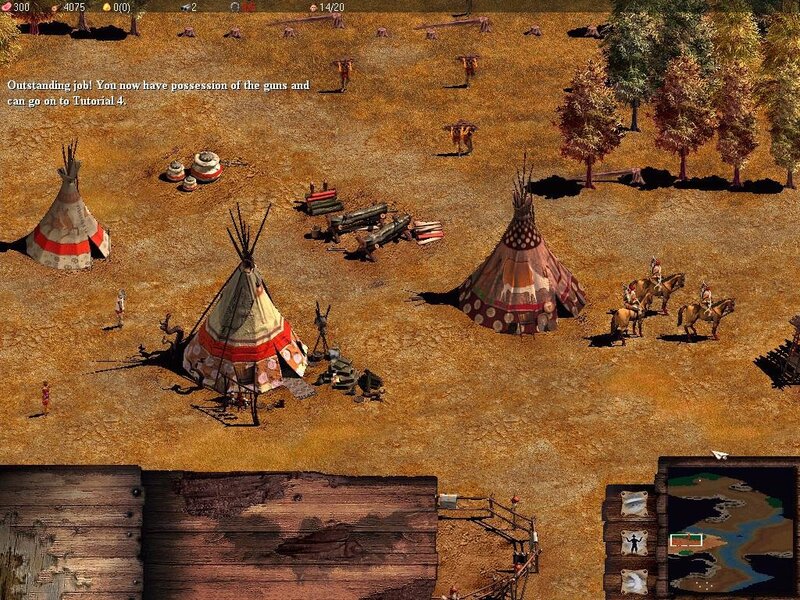 The first Warcraft is more playable and fun (and it was made 7 years before). Hey I have tried repeatedly to install this and it first tells me it cannot find the CD Rom, so I installed it onto a CD and when I try to run it tells me disk read error. Any ideas? I don’t think it’s possible to install game to CD… Anyway mount disc image with Daemon Tools, it emulates cd rom MUCH better than poweriso. poweriso can mount images, but it acts just like archiver.